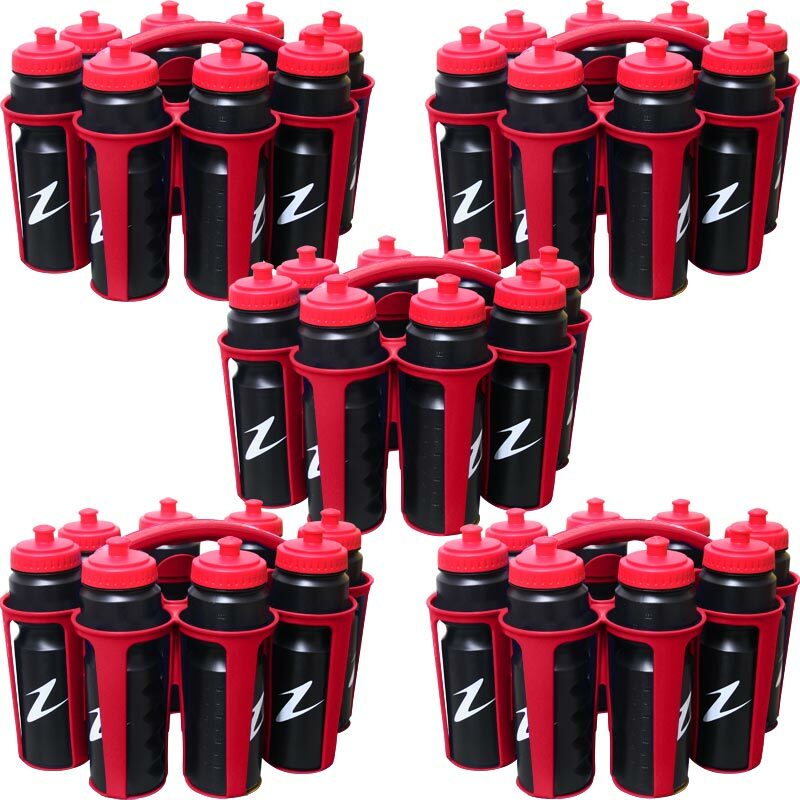 Injection moulded plastic Ziland Water Bottles and Carriers Pack of 5 are good value and functional. 40 x 700ml bottles included (with Fast Flow nozzle – liquid escapes from double side vents as well as the top of the Push Lock nozzle). 5 x Black, Blue, Red, Yellow and Pink carriers.